1. Welcome and Attendance: Tom Hall, President, Ken Wiegand, Vice-President, Dave Miller, Treasurer, Dan Ross, Secretary, and Tracy Rhodes, IT Manager. Board Members: Lin Manning, Lew Gage, Mike Walsh, Alby Redick, Terry Matter, RARA Representative, Steve Katzmann, RSAA liaison and member RTAA Board of Trustees, and Mike Dikun, Reno-Stead Airport Manager. Board Member(s) absent: Don Osborne. 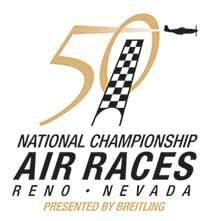 Guests/Members: Karl H. Scribner, AT Manager, Reno ATCT. 2. Minutes of Last Meeting: Approval of the Minutes of October 8, 2013 meetings was unanimous. 5. RTS Manager’s Report: The Terminal in on schedule to be finished December 12th. 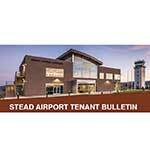 There will be a Terminal Grand Opening at 10:00a December 16th. Everyone is invited to take a tour of the new building, (Ed: maybe there will be cookies). The UAV project is moving along as expected. Nevada officials have “great confidence” that the state will make the final six list. Whatever state is selected, the economic impact of $83B is anticipated. A grant from the FAA enabled the purchase of a front loader-mounted snow thrower. Additionally, the airport secured an Oshkosh snow plow from the RTIA. Mike says a noise counter is located mid-field on Rwy 08-26 that detects the number of takeoffs, based on engine decibels. He then adds 10% for Rwy 14-32 operations and then multiplies by 2 to get an approximate total takeoffs and landings per month. Attention is now focused on snow removal and snow removal equipment maintenance. Mike estimates that Stead is no more than 8-10 hours from full operation after a normal snowfall of 6-10 inches. Again, just as a reminder, current snow removal priorities are as follows: Fire lanes, runway 8/26, taxiway Alpha, taxiways between hangars, runway 14/32, taxiway Bravo, in that order. If individual circumstances dictate priority attention, Mike asks that you contact him as far in advance as possible. 6. RTAA Trustee Liaison Report: Mr. Katzmann said that the Authority was had received 7 bids from law firms hoping to become the RTIA Attorney of Record, runway construction is scheduled for runways at RTIA, and 5000 homes around the airport had been sound insulated to date. (For a complete list of current Trustees and their bios, go to www.renoairport.com/airport-authority/board-trustees). 7. RARA Trustee Liaison Report: Terry stated that sales were up over last year as were attendance figures for Saturday and Sunday. He said there were only 16 unlimited aircraft racing this year, normal is 24. There are getting to be fewer and fewer unlimited qualified aircraft available due to accidents, age, and costs. 8. Guest Speaker: Mr. Scribner gave an overview of local air traffic procedures in the RNO and RTS airspace. He said if you are departing Stead for the International there is no requirement to go to NorCal first. You can contact the RTIA Tower directly from RTS CTAF. The Rwy 32 instrument approaches into Stead are controlled by NorCal on the two local Reno App/Dep frequencies, 119.2 (South) and 126.3 (North) simultaneously. Monitoring either one will give you a “heads up” on any inbound instrument traffic. Mr. Scribner also emphasized it is “OK to say UNABLE” to an ATC clearance or direction. Do not accept a clearance or direction that you consider unsafe or unable to accomplish. He stressed, “you are the pilot”, the controller may not be aware of existing limitations of either or both pilot and aircraft. When asked if a tower was coming to Stead, he replied that he did not see one on the horizon due to traffic count. He said the current FAA budget trend is consolidating low traffic count facilities. 9. Webmaster Report: Tracy reported that he: Published 9 articles, deleted 30 SPAM registrations and 7 SPAM comments on the Forum, updated website software 10 times. The website had 242 unique visitors, averaging 3:53 each, and viewing 2.3 pages per visit. The busiest day was November 14, 21 visits. 80 (24%) visits by mobile devices. Most visited pages, 803, were in order: Home page, For Sale, Aviation Medical Examiners, Hangar Availability, Airport Businesses, Where is Stead, Calendar of Events, Contact, and Newsletter. 13. 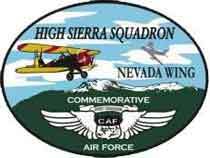 Next Meeting: Dec 17, 2013, 5:15p location: Aviation Classics Conference Room.